Since the introduction of Horizon Growth planning in the late 1990’s, businesses which have successfully understood and adopted this multi-year approach to generation of new revenue and profit streams have realized the benefits of forward planning. Horizon Growth planning was introduced in 1999 in a book titled The Alchemy of Growth: Practical Insights for Building the Enduring Enterprise by several McKinsey associates (Baghai, Coley, White). If you want to read a Cliff Notes version of Horizon Growth planning from the author, you can read excerpts here. As I have used Horizon Growth in corporate settings and with clients, I would characterize the power of Horizon Growth planning as helping executive teams get out of short-term thinking and into new ways of understanding revenue and profit streams. The simplicity of the framework is both compelling and challenging. How, exactly, do you go about identifying new revenue and profit opportunities, understand and profile them, compare them consistently, understand financial investments and returns, and develop them into solid business cases or plans which you can present to your board or stakeholders to secure investments required to bring these opportunities from the idea or concept stage into real contributors? I have addressed the practical side of implementing Horizon Growth in another recent blog. 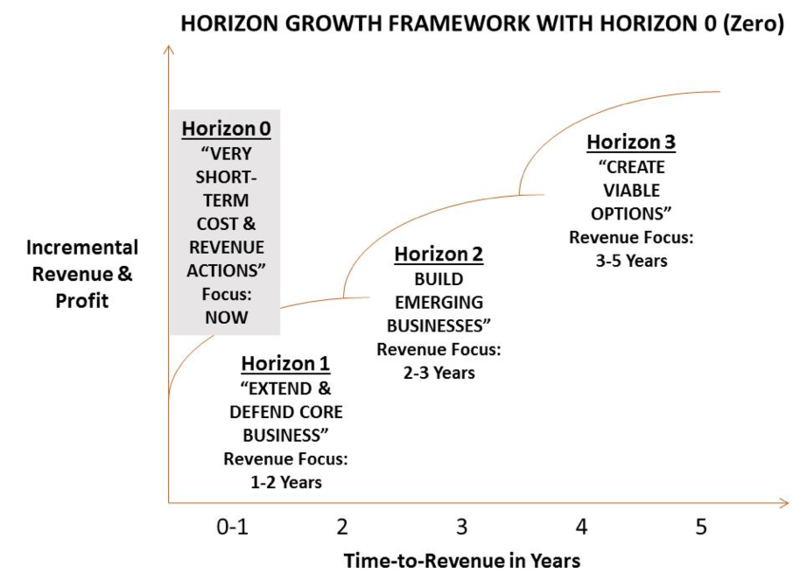 As I have shared this approach with clients in the past year, I continually see one opportunity to enhance the Horizon Growth model by adding a Horizon 0 to the model. 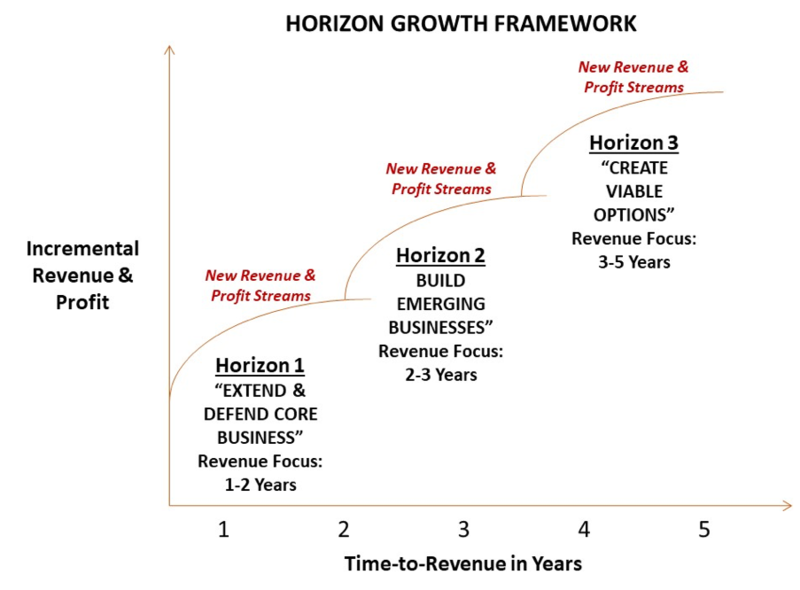 Horizon 0 fills an even more immediate and urgent need to “do the right things to help the business right now.” While the goals of Horizon 1 include shoring up market positions, capturing the remaining potential of markets, and protecting profits, the activities required to do that may not fill immediate needs for new revenues and profits. What I have found in many client engagements is an even shorter-term need than what the activities in Horizon 1 usually encompass. Yes, you should continue the recommended Horizon 1 activities of product extensions, operational improvements, and fine-tuning of sales and marketing. Some of these programs, though, take time, resources, and investment. Even if you have culture of continuous improvement, operational improvements driven by process reengineering and application of new technology platforms don’t happen that quickly. New products or extensions take time to launch. Sales and Marketing fine-tuning also involves processes, people, and platforms, and so can take time and investment, too. What Horizon 0 accomplishes is identifying decisions which can be made now to impact the business now. These decisions fall into two broad areas: cost-reductions to preserve marketing dollars for higher value programs or investments in quick-to-execute operational improvements with short payback periods (which often have yet to be defined), and revenue-generating programs which may produce immediate results. Here are a few examples of both cost and revenue programs. When I review and assess marketing programs for my clients as part of an insights gathering process, I look at where they are spending their marketing dollars. It seems to be the norm—especially in industrial and manufacturing businesses—that trade shows and maintaining the corporate website are the highest categories of marketing spend. There are two decisions and associated activities which happen after I share these best practices with clients: they either adopt this model for future shows, or they understand that without these metrics, they should immediately reduce their upcoming trade show schedule and spend. Just the knowledge alone of what they should be doing is enough to spur action. That’s an example of Horizon 0. If you don’t understand what results you are getting from your trade show spend, reduce the spend until you do. The same principles apply for managing website performance as those for trade shows: if you don’t know what results you are achieving, consider reducing spending until you have more confidence in the returns. 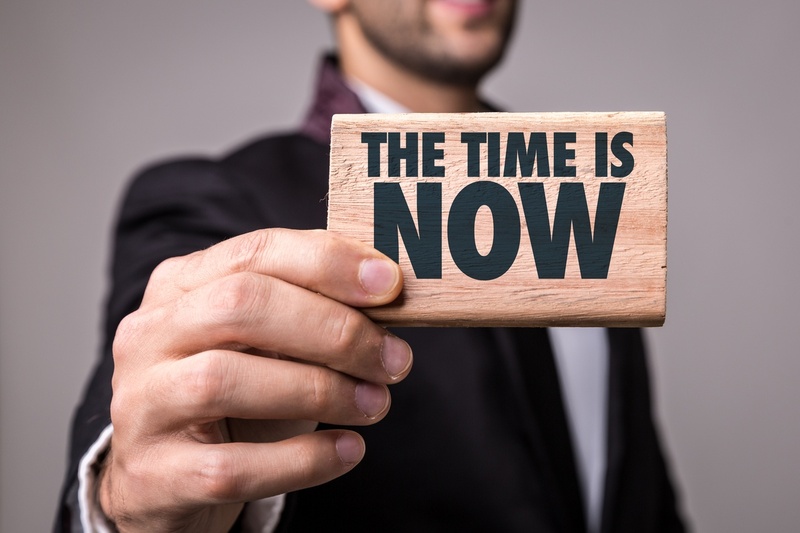 Once you get higher confidence in the returns of trade shows and your website and have developed a more robust marketing strategy and plan (“Big M” marketing), you can reallocate these immediate cost reductions to invest in more effective marketing programs with improved measurement and returns. There are other Horizon 0 activities you can consider besides reducing trade show activities and pay-per-click spend, including reducing your spend on databases which are not feeding your lead generation activities and reducing traditional paid advertising. Another class of Horizon 0 opportunities which should be on your radar are dependent on your knowledge of your customers and your ability to track revenues and profits by customer. A best practice is to sort your customer files by annual profitability (or at least by annual revenues of you can’t get to the profit number), and take proactive actions for the poorly performing bottom 20 or so. Besides price increases, you can also look to reduce services, or in some cases, if you are sure that these customers are money-losers, fire them. The money you save on these accounts can also be used for higher-value purposes. Now let’s turn out attention to examples of Horizon 0 revenue ideas. There is one major limitation to these programs: because we have defined then as very short-term, they can only focus on existing customers. The time it takes to acquire new customers and close new business does not usually fit Horizon 0. 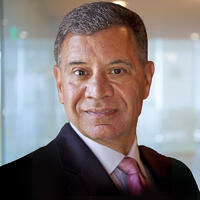 You need to continue those new customer acquisition programs, but they are Horizon 1 programs. One of the easiest ways to generate short-term revenue is to implement price increases. Many small- and mid-sized businesses do not have a pricing strategy and their discipline for executing pricing increases is haphazard. Implementing an across-the-board pricing increase (perhaps 1-2%). These actions will generate very short-term revenues as long as you understand your value versus your competitors and can create a rationale for these increases. Rationales include higher raw material costs, higher labor costs, interest, compliance, fees, and others. Trial or introductory discounts on new products. In some industry sectors, these promotional programs might seem unusual—which is a good reason to test them rather than to avoid them. A goal with these programs is to incentivize purchase behavior by offering something of high value to your customers which is also of low cost for you to provide. Adding Horizon 0 to your Horizon Growth planning gives you an immediate financial boost and seed capital to invest in longer term Horizon 1, 2, or 3 opportunity development. Horizon 0 is a version of pay-your-way. Horizon 0 changes the Horizon Growth model only slightly, but impacts your business positively as you build and evolve your internal marketing disciplines. Horizon 0 is a good way to kick-start your business by taking action now, to improve your business now. This article is part of a series in which I share practical experience learned in more than 25 years as a Marketing and Business Development executive. I’m happy to engage with you if you want to expand on these ideas—and especially if you have a need, or know a company that does.